There are lots of occasions for sororities to use vinyl banners. They can be used for recruiting, rush week activities, dances, parties, service projects, and anything else your sorority has going on. 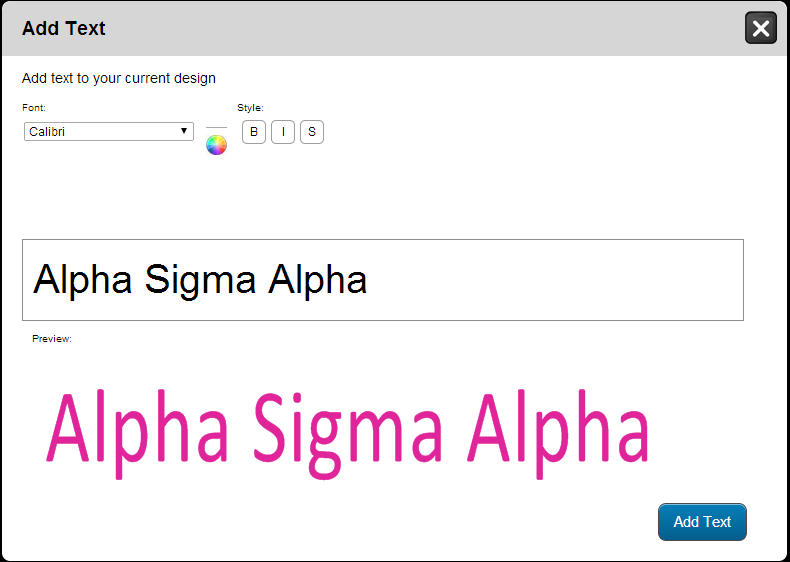 Here are step by step instructions on how to create a custom sorority banner online. Go to our Sorority Banner Page to get started. After you select your size, quantity and finishing options you can start designing your banner. There are three different ways you can order banners online. You can pick a template, upload a file or work with a graphic designer. We will show you how to order a banner by selecting a template. When you find a template that you want to customize, put your mouse over the template and click on the "Customize Template" button. This will take you into the online designer. All of the banner templates can be customized. You can also select the "Blank Template" to start your design from scratch. Click on the "Add CLIPART" button. This will open up a pop up of all of our clip art. Scroll down until you see a relevant category and click on it to view the images. Click on an image to add it to your design. Click on the "Add BCKGND" button. This will open up a pop up of all of our backgrounds. Scroll down until you see a category that you like. Click on a background and click the "Insert Background" button to add it to your design. If you are going to have multiple banners that look the same, you can copy your design so you don't have to start from scratch. Click on the "Save for Later" button in the online designer. This will take you to your saved designs page. All you have to do is click on the copy icon and another identical banner will appear. To edit the design, click on the image to go back into the online designer. 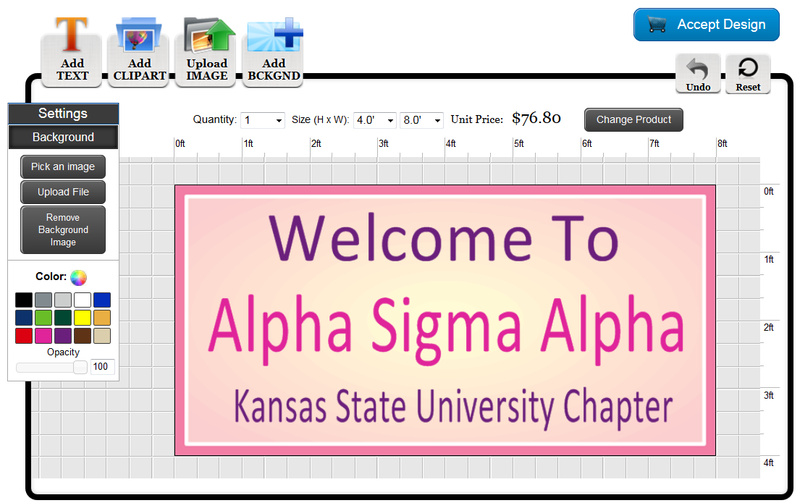 Go to our Sorority Banner Page to get started on your order.